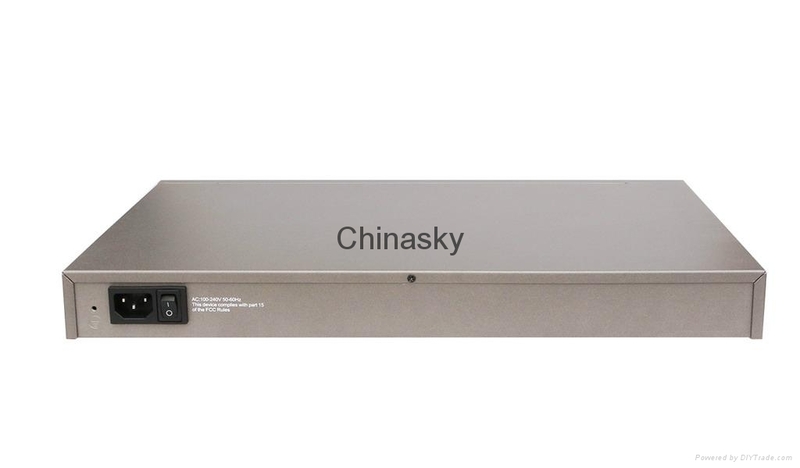 This device comes with SFP port, easy for optical fiber remote transmission. 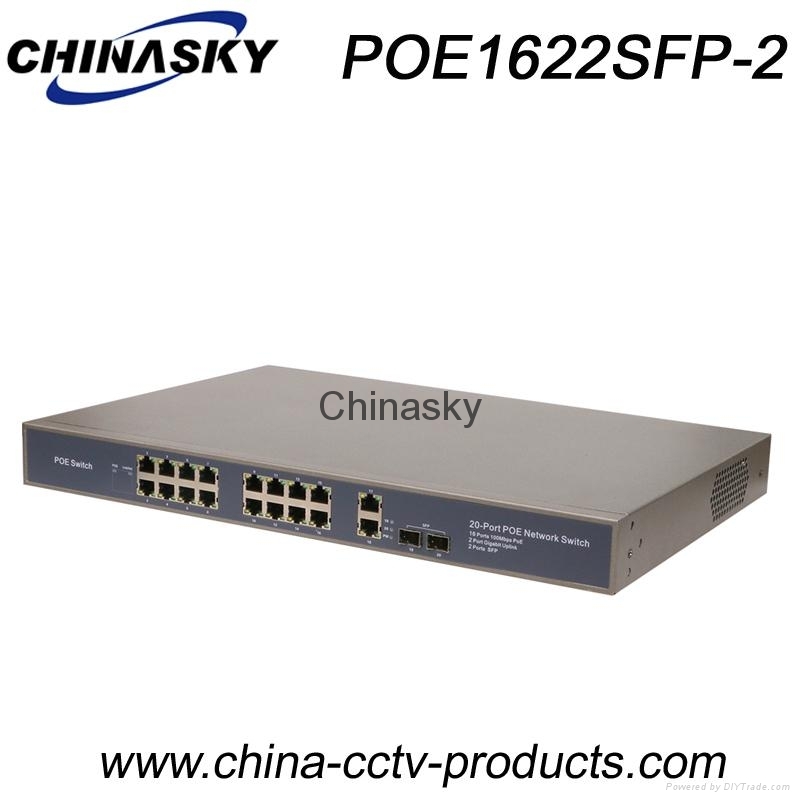 ◆ 16FE POE+2GE+2SFP, with different modules, can up to 100KM. 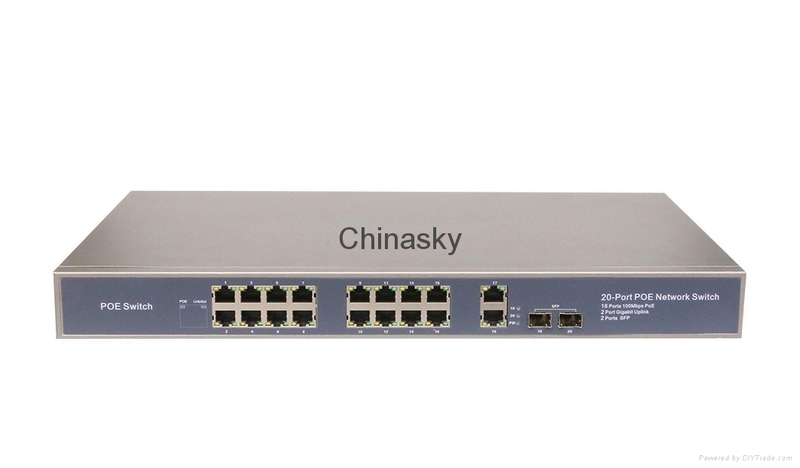 ◆ Comply to IEEE 802.3、IEEE 802.3u、IEEE 802.3ab、802.3X、802.3z. 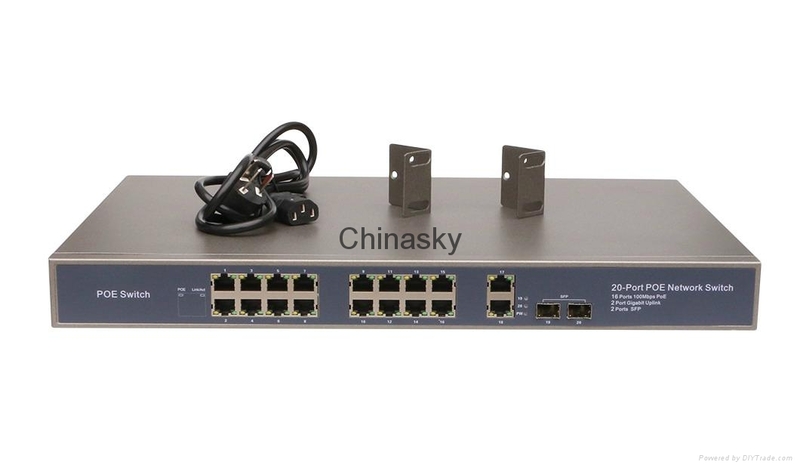 ◆ Comply to POE IEEE 802.3af/at standard, all ports standard testing. ◆ Support POE IPC camera, POE WIFI AP, and POE IPPHONE. ◆ Fluid Control: Full-duplex: IEEE 802.3x, Half-duplex: back pressure. ◆ Upstream port lightning protection. ◆ MAX 30W, MAX power 300W. ◆ All ports support wire speed switch, jumbo frame transmission. ◆ Panel lights can monitor operative mode and malfunction analysis.